The enemies of setability are poor resolution, mechanical backlash and high CRV. BI has addressed these problems in the design of trimmer models. BI’s smooth cermet materials, precious metal split brush contacts and teflon rotors work together to provide outstanding setability. 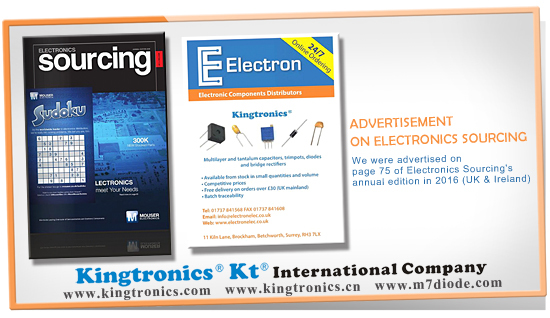 Thanks to our UK distributor Electron Electronics' trust and efforts, we were advertised on page 75 of Electronics Sourcing's annual edition in 2016 (UK & Ireland). This is a very popular magazine published globally in UK & Ireland, North America, Europe, Germany etc. It's our great honor to cooperate with so reliable partner. Let's grow together and make new achievement this year! Thank you very much. • Multiturns provide better resolution than single turns. Models with a longer element exhibit better resolution than those with a short element. Typical multiturn shaft revolutions range from 15 to 20 turns for end to end travel. • The contact design and stability are important considerations in achieving high resolution. The contact area must be small and the contact must move smoothly in order to provide high resolution. A noisy contact will make accurate setting very difficult. • All trimmers utilize smooth cermet materials, precious metal wire brush contacts and backlash-free wiper designs that ensure high resolution setability. • Single turn resolution for models with a longer cermet element (larger diameter) is quite respectable. This is especially true with wire brush contacts and smooth cermet films. Today we would like to take this opportunity to introduce you some Chinese traditions. Qing Ming is a time to remember the dead and the dearly departed. More important, it is a period to honor and to pay respect to one's deceased ancestors and family members. Because it reinforces the ethic of filial piety, Qing Ming is a major Chinese festival. Literally meaning "clear" (Qing) and "bright" (Ming), this Chinese festival falls in early spring, on the 106th day after the winter solstice. It is a "spring" festival, and it is an occasion for the whole family to leave the home and to sweep the graves of their forebears. Chinese being practical people this sweeping of the graves is given an extended period, that is, 10 days before and after Qing Ming day. Among some dialect groups a whole month is allocated. Ching Ming Festival, the custom is to enrich interesting, in addition to pay attention to ban fire, grave, as well as hikers, swinging, Cuju, playing polo, Liu inserted a series of custom sports. According to legend, this is because the Ching Ming Festival to Cold Food Observance ban fire, in order to prevent the Cold Food Observance buffet beverages, so we come to participate in some sports, in order to exercise. Therefore, this festival in both sweeping grave,expressing feelings of sorrow, another outing laughter of play, is a distinctive holiday. 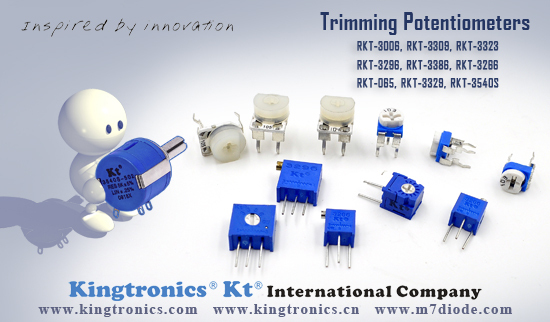 A trimmer can be used as potentiometer or rheostat. 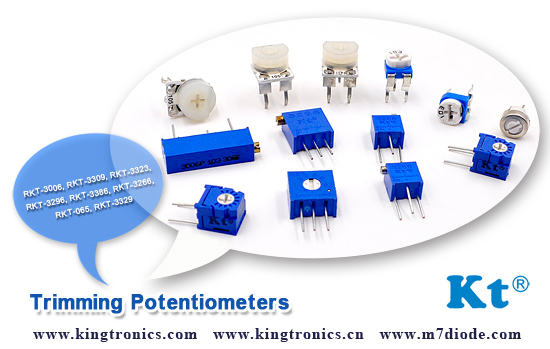 A potentiometer is a three terminal device typically used to vary voltage. In potentiometric configurations, the wiper terminal is lightly loaded so that wiper current is generally small. A rheostat is a two terminal device typically used to control current. Wiper current is generally larger in rheostat circuits. The majority of applications for trimmers occur in electronic circuits. 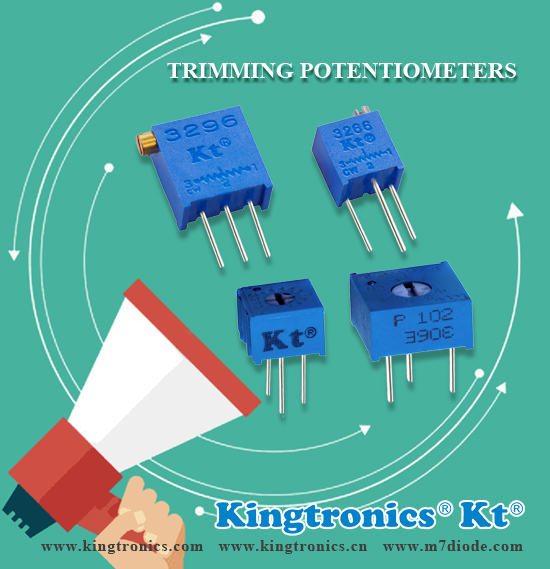 Kingtronics always make effort to provide customers more information and better service. 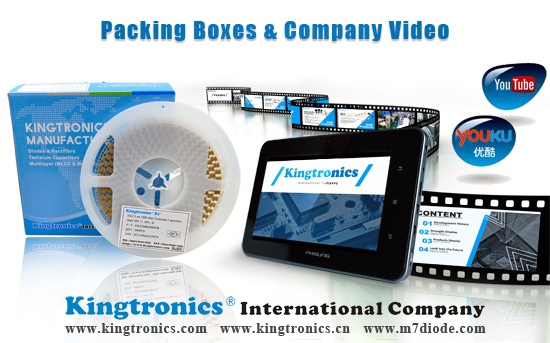 Our new packing boxes and video have been shown to our customers. Recently, we adopt attractive and durable new packing boxes to provide better protection for our products, including trimmer, MLCC, tantalum capacitor. The packing photos can be checked by below links. The best way to know Kingtronics is to click below links to watch our video. All our products are produced completely automatic in dust-free plant. That is why we can offer our customers with good products and short lead time. 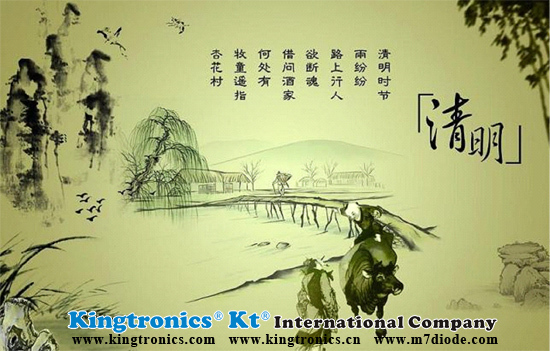 More efforts will be made to realize better Kingtronics. The ability of materials to be welded together under specified conditions. The ability of the terminals to withstand specified mechanical stresses without sustaining damage that would affect utility of the terminals or operation of the trimming potentiometer. The ability of the unit to withstand submersion in acceptable cleaning solutions used in normal soldering processes without performance degradation under specific environmental conditions. Do you buy active components? We have better prices for these parts compared with MCC, NXP, Diotec, Fairchild... Would you pls check and send me your inquiry/order? The maximum moment in the clockwise and counterclockwise directions required to initiate shaft adjustment anywhere in the mechanical travel. The maximum static moment that can be applied to adjustment shaft at each mechanical stop for a specified period of time without loss of continuity or mechanical damage affecting operational characteristics. The ability of the terminals to accept a uniform coating of solder under specified conditions. How fast time flies. Here comes the Easter. Easter is the most important annual religious feast in the Christian liturgical year. Relatively newer elements such as the Easter Bunny and Easter egg hunts have become part of the holiday's modern celebrations, and those aspects are often celebrated by many Christians and non-Christians alike. Pls kindly note we will have a 4-day holiday from 25th to 28th March. 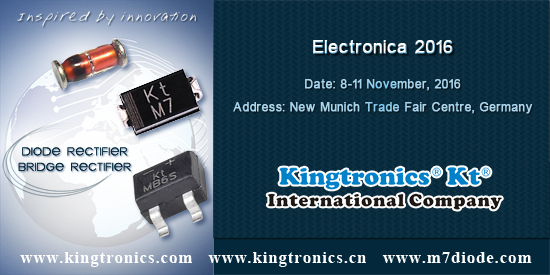 Do you have order for us about electronic components before this holy vacation? 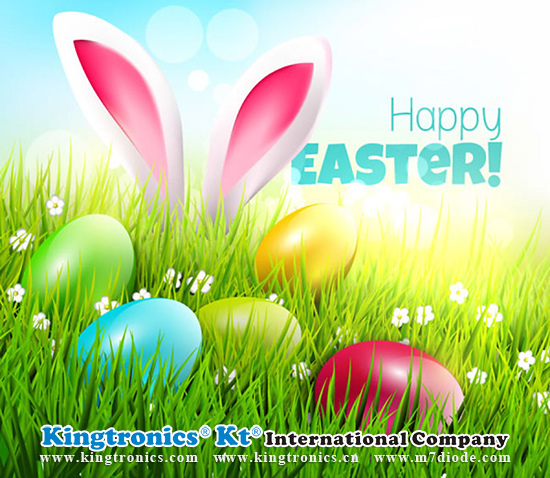 Kingtronics team wish you have a Happy Easter!